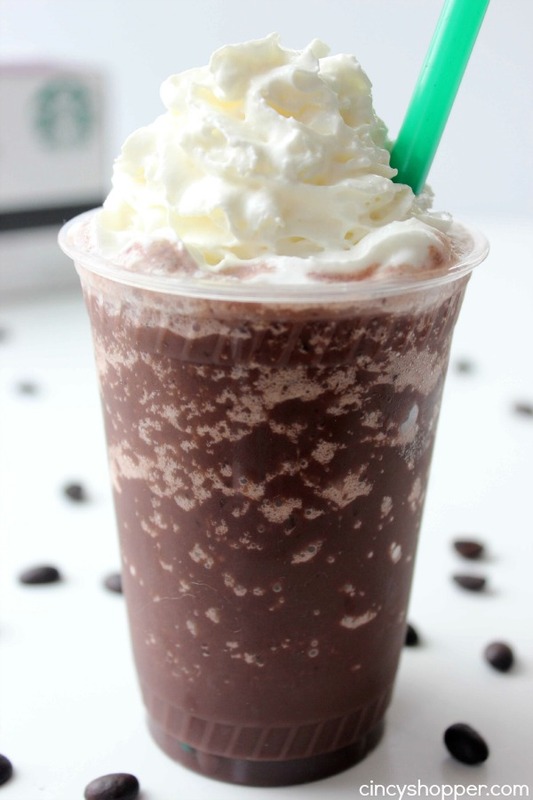 This Copycat Mocha Frappuccino is going to put you in heaven. Coffee and Chocolate blended to make a truely awesome cold beverage! Does it get any better than this? I needed to do some last minute Easter shopping on Saturday so Cierra and I set out a do some shopping at Meijer. After finishing up shopping with all the other last minute crazies, we dropped in Starbucks. I was seriously craving a yummy Starbucks drink. Normally I will whip up my CopyCat Starbucks Strawberries & Cream Frap or maybe even a CopyCat Starbucks Passion Tea Lemonade during the spring months. I decided to switch up my order this time. I was craving chocolate (yes, I have that craving a bit too often, ha ha). I decide to order a Starbucks Mocha Frappuccino. I am a HUGE coffee fanatic and was needing some energy so the drink sounded perfect. Chocolate and coffee, what a great combo. I watched my barista make my drink from start to finish. My Starbucks addiction can get so costly that I now like to now exactly what is in the drink so I can enjoy my own copycat versions at home. Homemade Starbucks always saves me a bundle, especially during the summer months. Last summer, I made so many CopyCat Starbucks Caramel Frappuccinos that my entire house was ready for something new, lol. 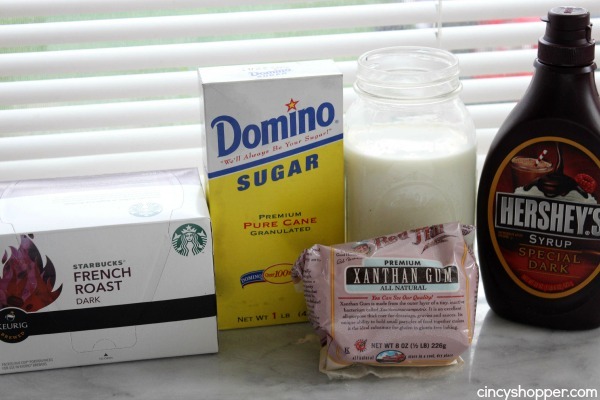 The ingredients to make a homemade Starbucks Mocha Frappuccino are super simple. You most likely have the ingredients on hand. The drink starts with a nice STRONG Coffee. I used my Starbucks French Roast K-Cups. 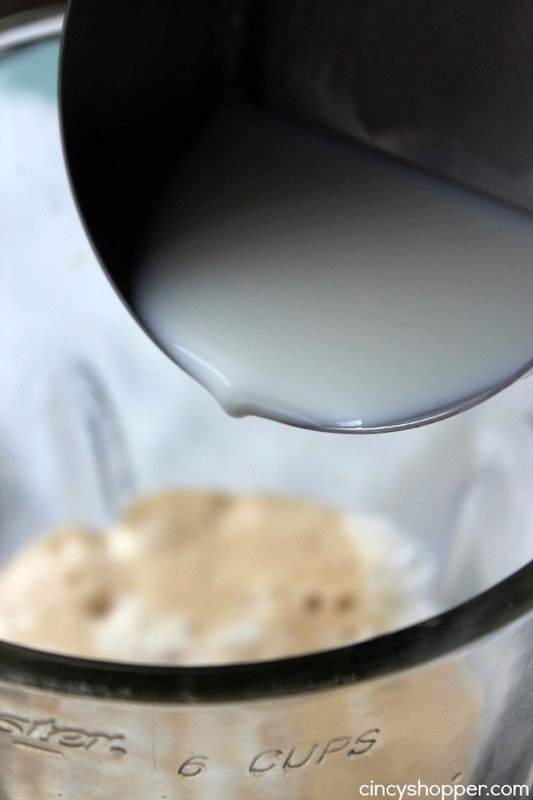 You can also add in Xanthan Gum to help with the separation. 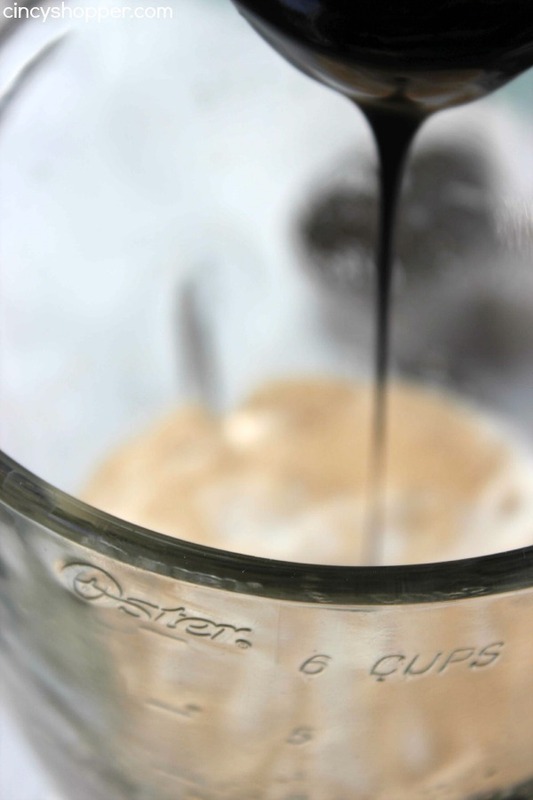 You can find Xanthan Gum at most grocery stores in the healthy/organic section. One bag has lasted me FOREVER. You can also hop on over to Amazon and purchase Bob’s Red Mill Gum Xanthan too! Make coffee according to directions. 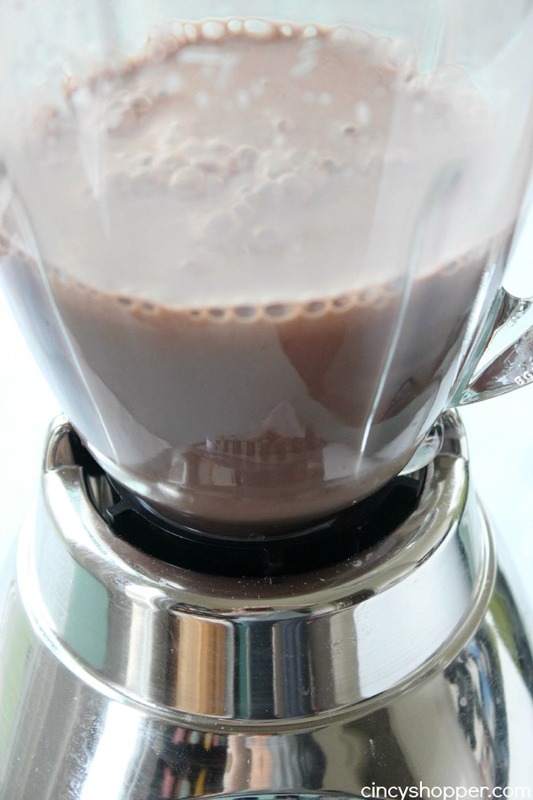 Add milk, chocolate syrup and xantham gum and mix another minute. 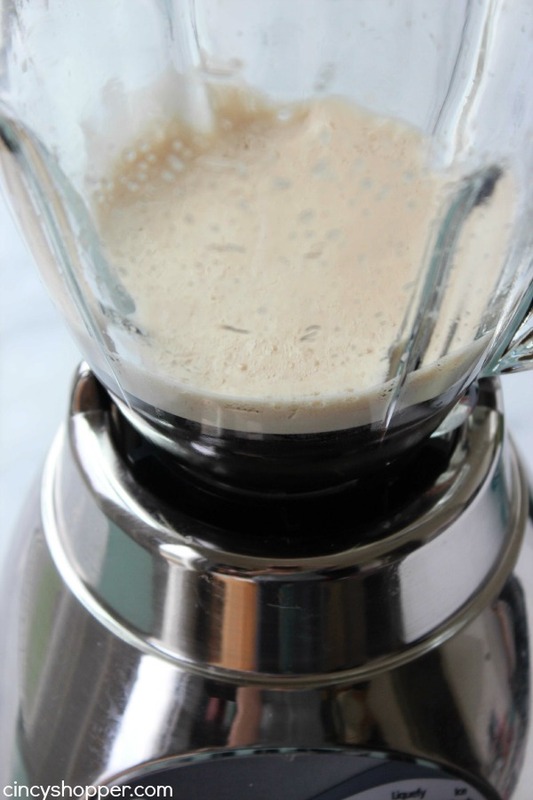 Add ice to blender and blend on high until smooth. 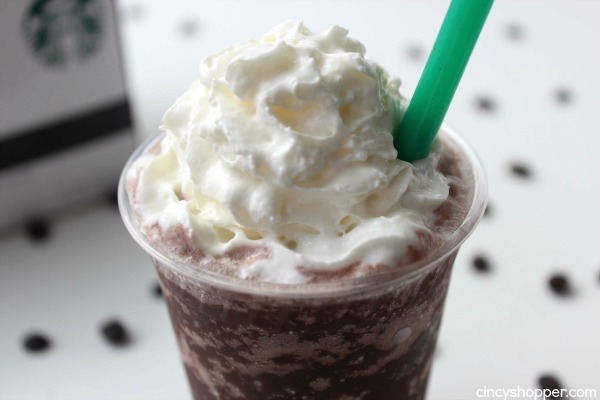 Starbucks drinks are so simple to make at home and they will certainly save you a bundle of cash. Making my own homemade Starbucks at home has really saved us. I had this batch of CopyCat Starbucks Mocha Frappuccinos whipped up in just a few minutes time. My daughter enjoyed the whole pitcher while we were working yesterday. The chocolate and coffee were a great boost of energy during our work day. I look forward to making quite a few batches this summer. Fraps are so refreshing. 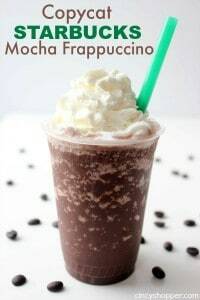 If you are a big Starbucks fan be sure to checkout my CopyCat Recipes. I have shared many Copycat Starbucks desserts, sandwiches and of course many hot and Cold drinks here on my blog. If you would like an ebook with my Starbucks Recipes, I have a Kindle addition available on Amazon. 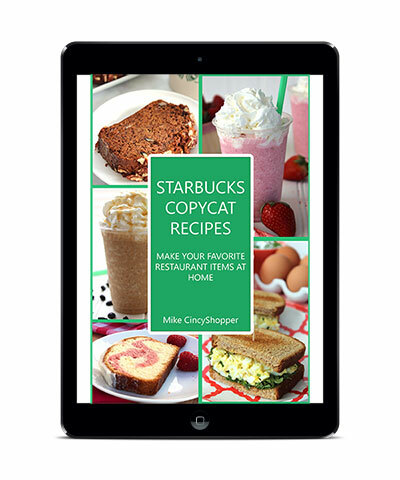 Hop on over and check out Starbucks Copycat Recipes: Make Your Favorite Restaurant Items at Home . The Cookbook would make for a great gift for a Starbucks fan! 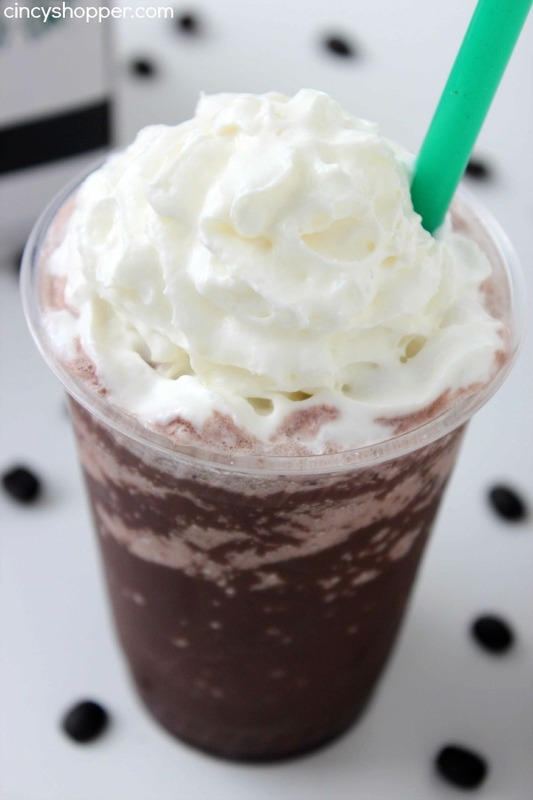 Do you have a favorite cold Starbucks drink that you enjoy during the summer months?